Who says pizza has to be topped with artery-clogging cheese and factory farmed meat? Pizza night doesn't have to involve cruelty or disease-causing foods. 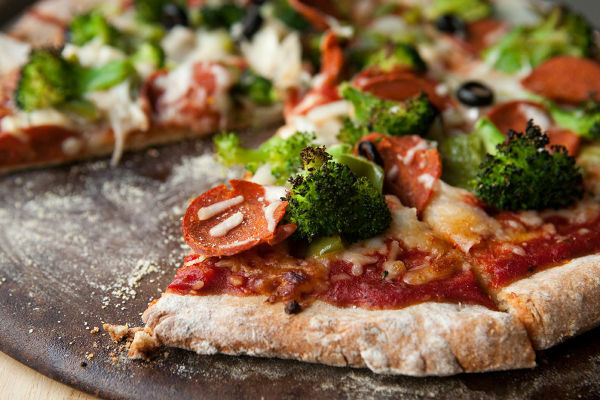 This whole wheat pizza crust is topped with broccoli, green peppers, onion, olives, Smart Deli pepperoni and Daiya cheese. Invite your friends (even the meat-eaters) over for a pizza party and show them how delicious vegan can be!